Cookie #4 from my Master Cookie Dough is the kind of cookie that you think you can eat just one. Then you eat another, and another, and another. You close the container and walk out of the kitchen. Then you make up some excuse to come back in the kitchen, look around to see if anyone is watching you, and you eat yet another cookie! Not that I did this, I’m just saying. 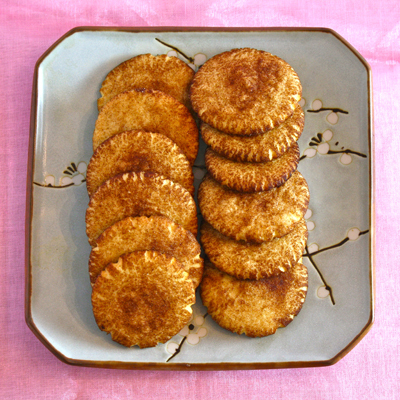 . .
Cinnamon Sugar Crisps are my version of a Snickerdoodle, which I nominate for the silliest cookie name EVER! 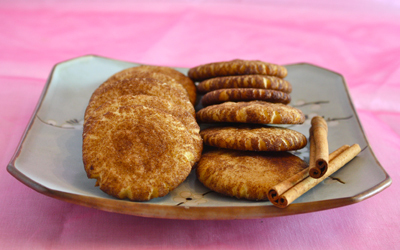 Although I do admit it is more fun to say snickerdoodle than it is to say cinnamon sugar crisp. But they are both fun to eat, and that’s what matters, right? 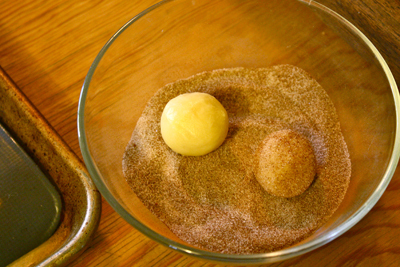 The key to both cookies is the cinnamon sugar that coats the outside of the cookie. Like the Chocolate Macadamia Nut Bites, you roll small amounts of dough into balls, then roll them in a mix of cinnamon and sugar. Be sure the balls are coated completely. 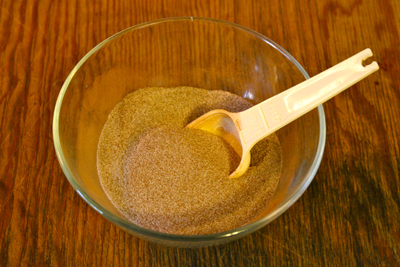 Place them onto a baking sheet, them smash them flat with the bottom of a clean drinking glass, or other flat bottomed object. 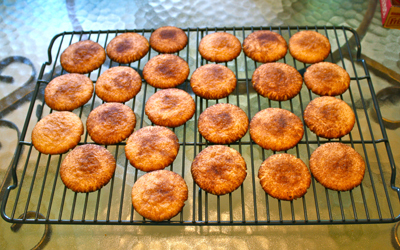 Bake in a 350 degree oven for 12-13 minutes, until the cookies are lightly browned. Cool completely on a wire rack. The cookies will crisp up as they cool. As I was taking this picture I thought I had baked more cookies. Turns out my mother had snuck into the kitchen and eaten a few! 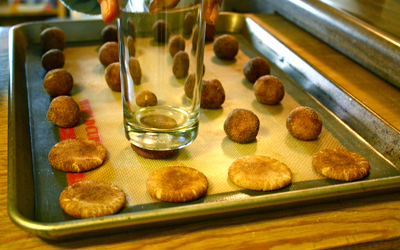 I can’t be mad, these Cinnamon Sugar Crisps are that good. More cookies are coming using the Master Cookie Dough! Stay tuned. 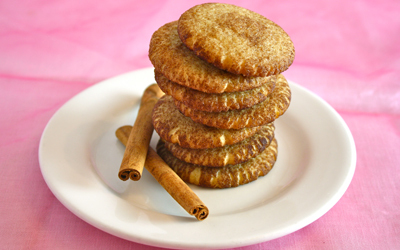 Cinnamon Sugar Crisp… snickerdoodle… these are going to be my favorite cookie.